So the next year, just before my 7th birthday, we moved to Florida. 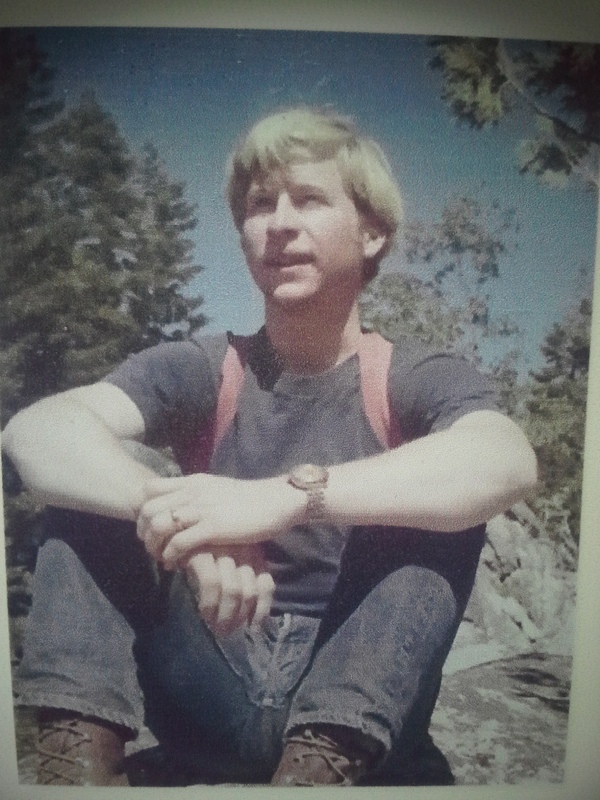 It was my father’s dream to be involved in the space program and he had gotten the chance. We ended up in the central part of the state on the east coast, in a little town called Titusville, on the Indian River (think “Grapefruit”) right near the Kennedy Space Center. Alligator, in the water, RIGHT next to the trail. As there was still forest nearby, it was of a more exotic type than I had been previously introduced to. Most of the trees were palm trees, and there were beasts out there that were more fantastical than the deer and raccoons and horseflies of the Missouri hardwood forests. 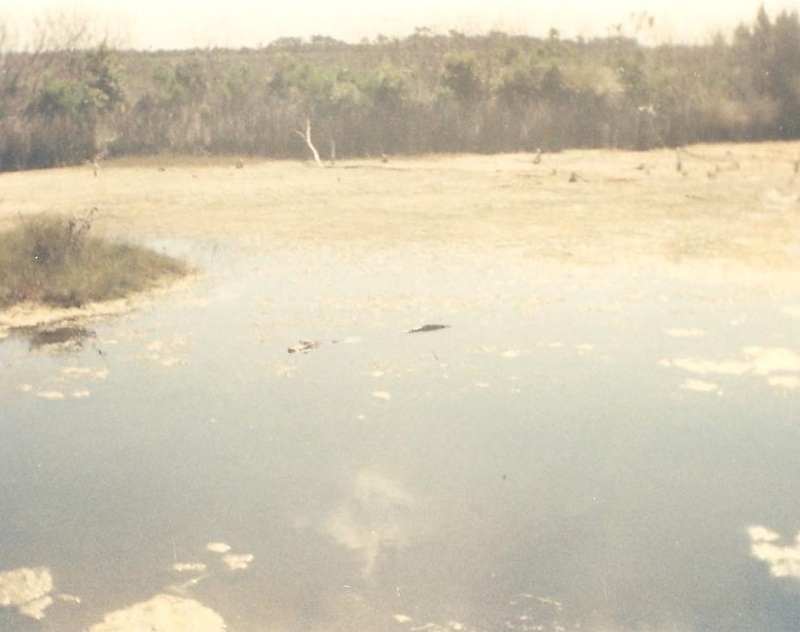 Florida wildlife consisted of alligators, super-sized insects, wild boar, horseshoe crabs, and giant snakes. A typical trip down any highway was another chance to play “Count the Gators” as we drove along the canals that flanked just about every major road down there. And there were a LOT of gators. You would be struck by a subtly increasing sense of distress when you were walking on a trail along a waterway, and look over to realize that the log that has been following you in the currentless canal has eyes, nose, and a mouth and a quiet way about it as it stalks your movement on the path next to it’s territory. 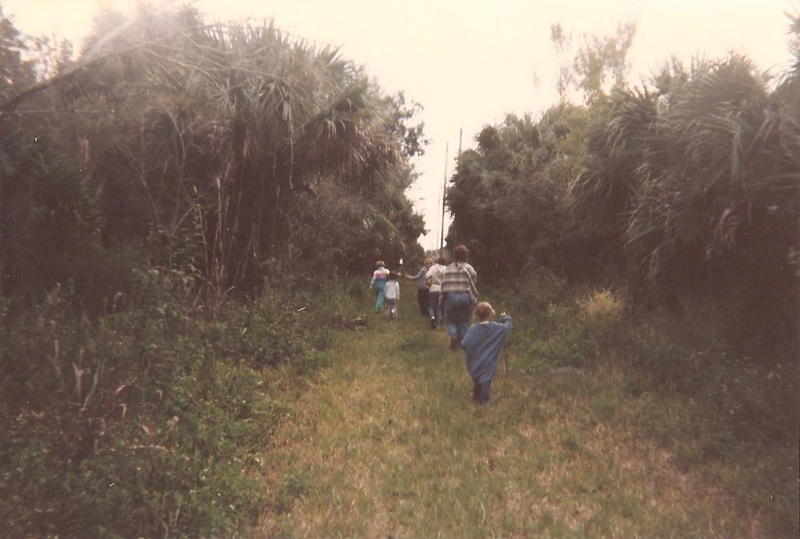 I remember being on a trail in the Merritt Island National Wildlife Refuge, and coming to an area where the underbrush of young cabbage palms suddenly exploded with violence and destruction. We ran to the nearest boardwalk on the trail, climbed the steps as fast as we could, and looked back from the platform to see 2 giant hairy boars duking it out at the expense of every poor defenseless plant around them. They were definitely monsters, especially to a kid. It was at the visitor’s center there that I got to see an Eastern Indigo Snake. They are a threatened species due to our expansion into their habitats with our concrete and strip malls, and they are a magnificent example of the beauty of wildlife. A rich smoky black along their back and sides, fading to a smooth cream color along their belly. Growing to over 7 feet long, they are the longest native snake in the United States. 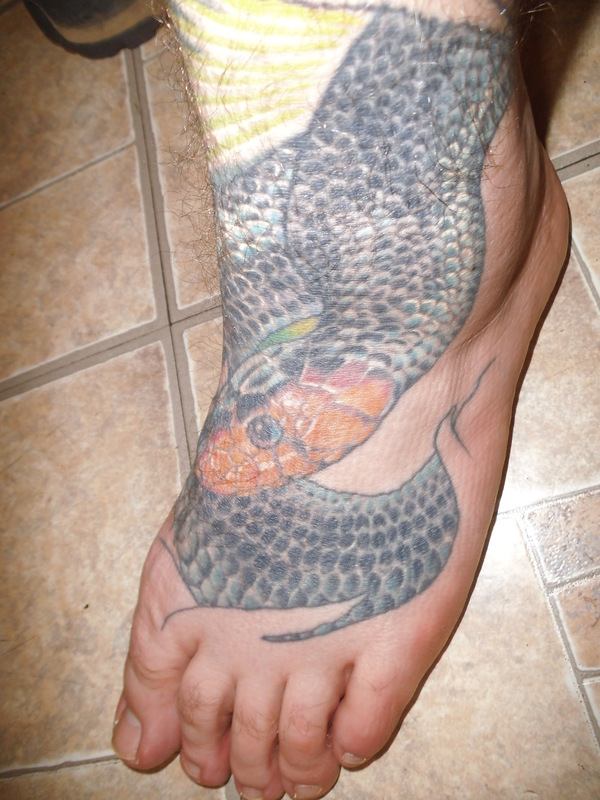 And I have one tattooed on the top of my left foot. I know that I can clearly say that it was in this place that a real sense of conservation and protection of nature first sparked. 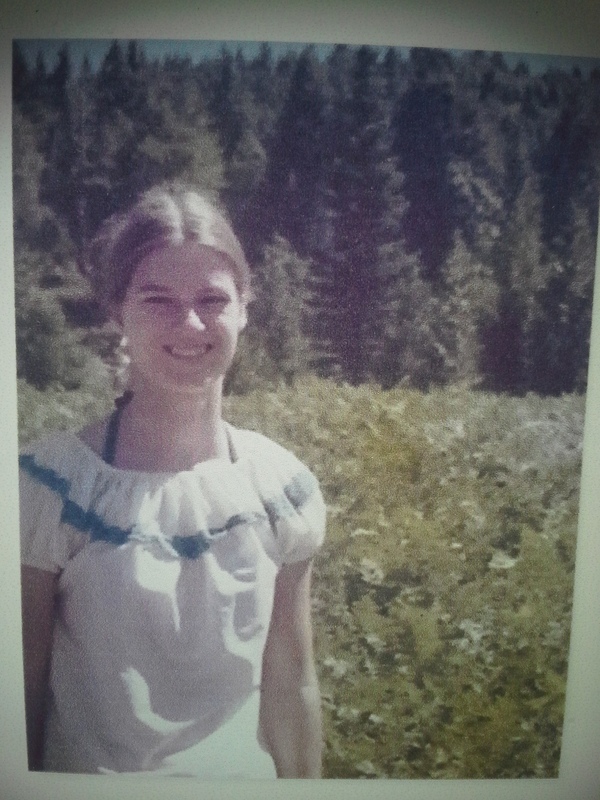 At the direction of my mother, we would spend a day every week or two spreading shale and moving debris out of the way on some of the trails there, to get in some activity outdoors and to help maintain a more pleasant path for other people wanting to enjoy the forest as well. And it was on these trails that I first learned the real cost of effort. 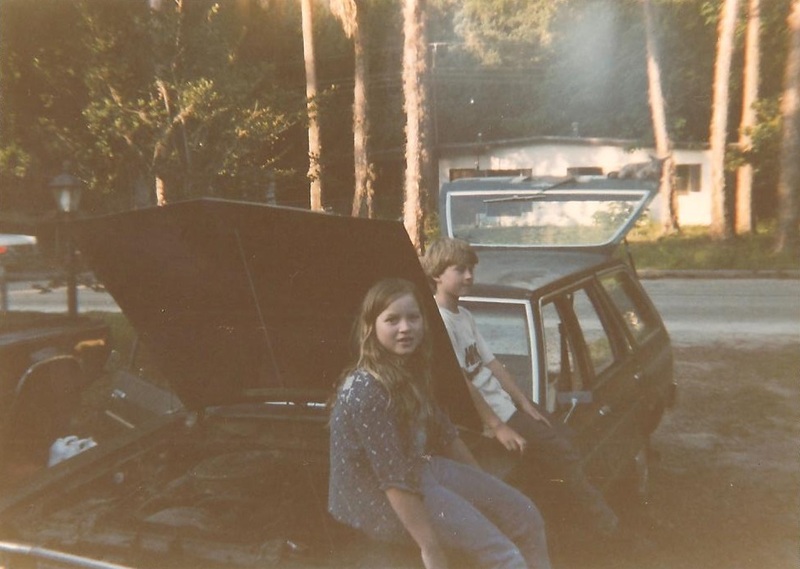 I was around 10 at the time, and a wheelbarrow of shale is a heavy thing for a child on a hot Florida afternoon. It sure wasn’t how I really wanted to spend my day. Back and forth down the trail, from the giant shale pile to the next section of muddy path. The only thing worse is digging holes for a living. 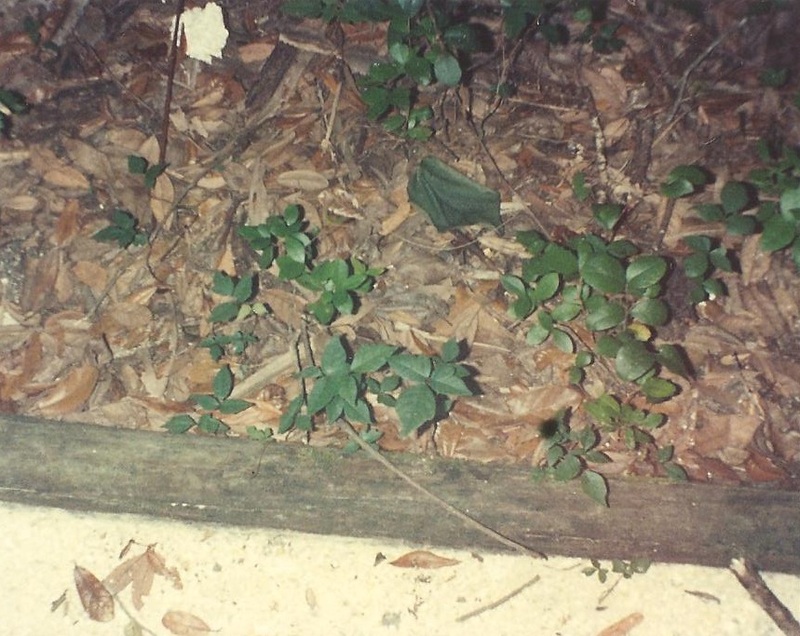 This is a picture of Poison Ivy I took when I was 10 so that I could always know what it looked like. It was also on these trails that I had my first real exposure to poison ivy. Unknowingly, I got it all over my arms and shoulders and face, and it was those two weeks of uncomfortable horror that has created an irrational fear in me that I have been learning to overcome ever since. As these experiences were difficult, punishing at the stage of life I was in at the time, I am thankful for them and the way they are bricks in the internal monument to creation within me that I have been building my entire life. 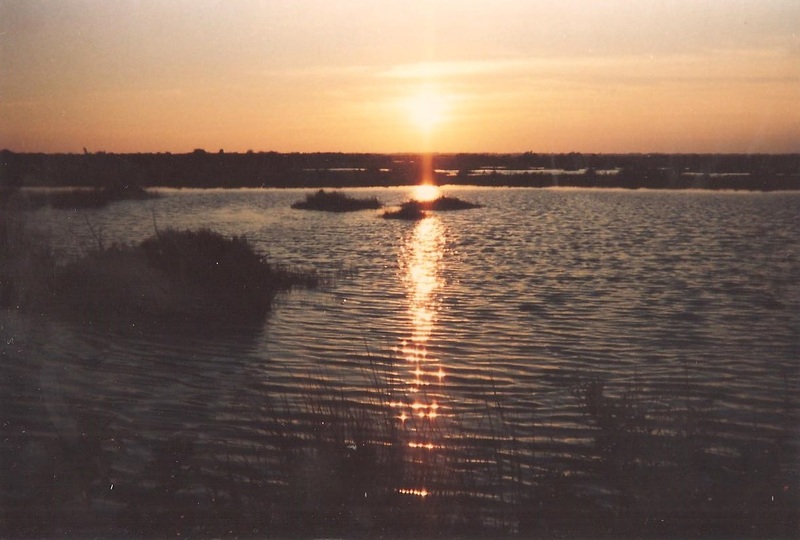 I also remember hopping from rock to rock along the bank of the sulfur-odored Indian River, at Sand Point Park. They were big jagged things, lined up at the water’s edge to diffuse the power of the crashing waves. I could spend hours going back and forth from rock to rock, on some pirate adventure in my mind. When I see my own son, following a Missouri stream in the same way, from rock to rock, it puts a grin on my face as I remember that same feeling. So, who’s ready for a hike?!? It was also at this park that I made my first connections with fishing. There were many people that would come out to cast a line into the river, and my parents had provided me with a cast net, in an attempt to instill in me a sense of compassion for the creature that I was soon to yank from it’s home and parade around as it suffocated in my hands. I still miss that net and all the cool things, living and inanimate, that I would pull from the river with it. 1979 Ford Fairmont Station Wagon: My Dream Car. So after years of adventure on the east coast, we made our way back to the St. Louis area when I was 13, in 1991. Looking back now, with almost 22 years of experiences here, I know that it truly was a homecoming. We were coming back to the place we were supposed to be. 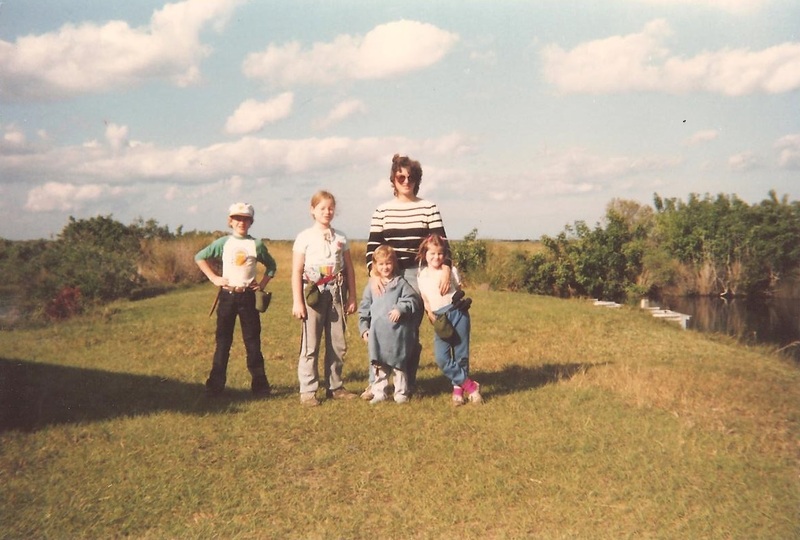 Faced with more difficult economic hurdles, camping had become a rare occurrence, but again my mother made it a point to get us out into the woods whenever the opportunity presented itself. I think the most memorable place in the area for me from that time would have to be Rockwoods Reservation. She would take us there on some homeschool group outing, to learn about raccoons or caves or whatever the visitor’s center was teaching school groups about at the time. It was there, hiking on the Lime Kiln Trail, that I painfully and stubbornly learned the endurance that only hills can teach. It was at Rockwoods, in the now fenced off giant cavern, that I experienced a sense of wonder at the way nature can make a person feel in it’s amazingly varied environments. And there are the forests along the Rock Quarry Trail, shaded and mysterious, hiding the remnants of human influence and our trails of the past with it’s overgrowth. There is a lot of my childhood that was spent creating a connection with nature, and I will always be thankful to my parents for their instilling the spark within me to appreciate the forest and all of creation. Without the opportunities they gave me, I would not have the desire to embrace the beauty and life that is just a hike away. However, this story is not over. It goes on as I gained independence in my early adulthood. A freedom that has sometimes taken me beyond the fence lines or hours of operation, in the forests just past the river down the road. I am enjoying this series, and I’ll be looking for the next installment. Thank you. I am currently looking through pictures to try to find some from my teenage years…and there aren’t many. Plus the ones that I CAN find…well…I looked pretty dumb…in that “expressive” time of my life. I am glad you are enjoying this. I am getting a lot out of writing it. It’s going to be ending of mine day, however before ending I am reading this impressive article to improve my experience.